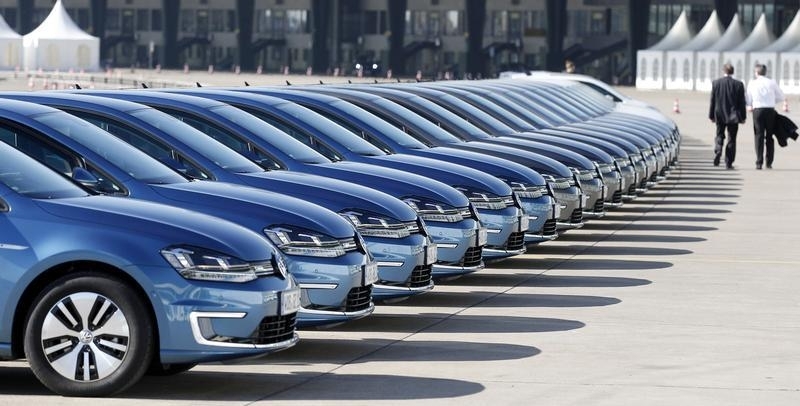 Volkswagen is embarking on a 5 bln euro efficiency scheme. Tackling bloated costs and poor margins at the core brand is long overdue. But the group is shying away from addressing the real causes of the malaise. It is too complex, overly centralised, and badly governed. People walk past a row of Volkswagen e-Golf cars during the company's annual news conference in Berlin March 13, 2014. Volkswagen, Europe’s biggest carmaker, said on July 31 that it sold 5.2 million cars in the first half of 2014, 6.8 percent more than a year earlier. Revenue grew by 0.1 percent to 98.8 billion euros, the Germany-based group said. Operating profit rose 7 percent to 6.2 billion euros, driven by its high-margin premium brands Audi and Porsche, as well as improving performance of its commercial vehicles divisions. Operating profit for the company’s core brand VW passenger cars, which account for 57 percent of total automotive revenue, dropped 30 percent to 1 billion euros. A new efficiency programme, aimed at lowering annual costs by 5 billion euros, has been launched to meet the 2018 margin target of 6 percent. Volkswagen shares were up 1.8 percent to 176.90 euros in midday trading.